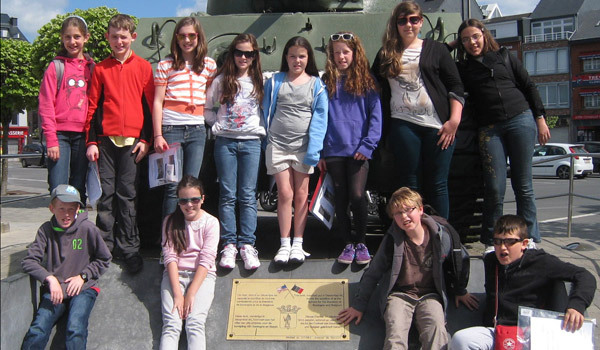 A HUGE well done to the British section of the Supreme Headquarters of the Allied Powers of Europe (SHAPE) International School, based in Belgium, who have ranked joint eleventh out of approximately 17,000 primary schools in England for reading, writing and maths, placing the school within the top one per cent of primary schools nationally. Schooling is provided by Service Children’s Education (SCE) and pupils of different nationalities attend to encourage co-operation and integration between the different nations. Lt Col James Vigne, Chairman of the School Governance Committee, said: “Congratulations to all the staff and pupils, not just for these outstanding academic results but for the all-round education available at SHAPE.